AMSTERDAM -- Fiat Chrysler CEO Sergio Marchionne rowed back on his search for a merger on Friday, saying the group was not in a position to seek deals and would focus instead on developing its business plan. Answering investors questions in Amsterdam, he said there were no merger talks ongoing with Volkswagen Group, a deal he had said last month was a possibility. "On the Volkswagen issue, on the question if there are ongoing discussions, the answer is no," Marchionne said. "I have a lot of respect for Volkswagen and I think we are not in a position to discuss any alliance, the primary focus is (on) the execution of the plan," he added without elaborating. Marchionne has long advocated consolidation in the car industry and analysts wonder whether he would manage to find a partner for Fiat Chrysler before he steps down in early 2019. 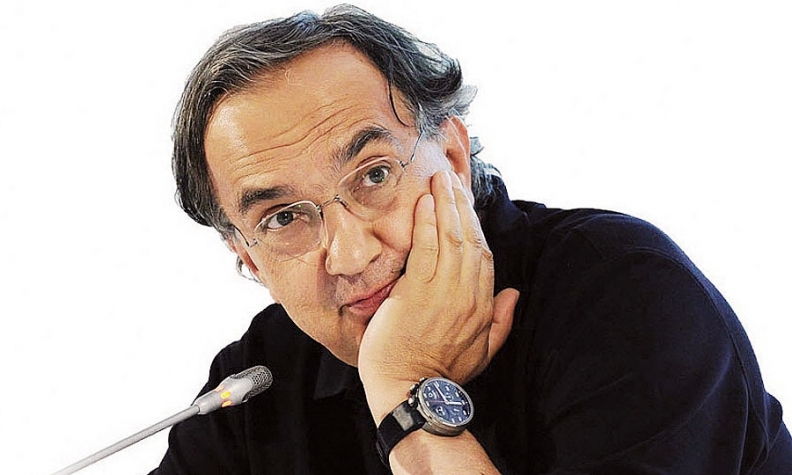 Marchionne said last month that Volkswagen -- the market leader in Europe -- may eventually agree to discuss a tie-up with FCA in reaction to the purchase of Opel by the second largest operator on the continent, PSA Group. Volkswagen, which is still reeling from an emissions scandal that hurt its profits, initially spurned FCA's approach. However, CEO Matthias Mueller said last month the group had become more open on the issue of tie-ups and invited Marchionne to speak to him directly rather than with the press. Marchionne, an experienced dealmaker, is due to step down after Fiat Chrysler approves its 2018 results. He has said meeting ambitious targets under a business plan to 2018 will put Fiat Chrysler in a better position to strike a deal down the line. Asked about U.S. electric car company Tesla, Marchionne said the big difference in market valuations made a merger impossible. "I don't think it's possible to talk about alliances. We have today (the) tech capability to do what it does. I wish them all the best," he said. Fiat Chrysler Chairman John Elkann said on Friday he was not interested in a "big merger deal" for the carmaker but wanted the company to prosper. "Historically, deals are struck at times of difficulty. Mergers are unlikely to happen unless something goes wrong. Chrysler and Opel have agreed to mergers as they were in trouble ... we don't want to be in trouble," he told a press conference after an FCA shareholders' meeting. He added that the priority for Fiat Chrysler is to press ahead with "this ambitious (business) plan despite the difficult environment." FCA Chairman John Elkann said Marchionne would be replaced internally. "I want to be clear about how seriously the succession process has been taken. We are working with Sergio in order to be able to identify someone who comes from inside the organization," he said at the event.